It’s “Do Over” Time! – January Newsletter | I'm Oil In! ← Get Ready to Take on 2015 with the January Promos! The Newsletter for this month highlights that custom and gives some tips on making 2015 the best year ever! This entry was posted in Newsletter and tagged $20 Voucher, 2015, 5-Day Nutritive Cleanse, Cleanse, Cleansing Trio, Copaiba, Detox, Essential Oils, Essential Rewards, Happy New Year, January Promo, JuvaCleanse, Lemon, Lemon-Rosemary Finishing Salt Recipe, New Year's Resolution, SleepEssence, Spearmint, Tips from Tex, Young Living. Bookmark the permalink. I really enjoyed January’s newsletter. I just recently finished the 5 day detox and it was by far the best detox I have ever done, I highly recommend. I also love that Tex took goodies to the shelter, it was very heart warming. 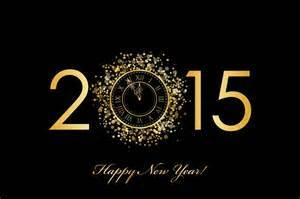 Looking forward to the new year and more tips and encouraging words from “I’m Oil In” Happy 2015!!! !